The Kings of Catch Basins are here and Rooter Sewer Drain Man is ready to Clean, Flush and Jet in Palm Beach. Get it done here, the right way. As a family owned business, Rooter Sewer Drain Man understands how a flooded Storm Drain system can interfere with your daily tasks. We are the best cleaning team in Palm Beach that focuses on giving you the best customer service, with workers who are professional, courteous, and on time. Before providing you with our estimate, we will take the time to look over every storm drain and give a price reflecting what work needs to get done, we do not "boiler plate" our pricing. Go with the Best Storm Drain Cleaning team in the Palm Beach area, not a franchise. Rooter Sewer Drain Man is Family- Owned and Operated. We live here. Rooter Sewer Drain Man does not only help customers with storm drain systems in Palm Beach, we can also assist you with plumbing, sewer, and drain cleaning tasks. Our customers notice the difference from the first phone call, feeling the personal touch that a franchise can’t provide. Contact us today for your free quote. We are always available to help, Rooter Sewer Drain Man. Want the best possible Storm Drain cleaning solutions in the Palm Beach area? How about a courteous, professional, and punctual work team dedicated to ensuring the best possible customer service available? Try Rooter Sewer Drain Man and give us a shot. From the initial call, hear the difference and then see the service difference. We are experienced and want to work for you. When we look at your Catch Basins, we don’t “boiler plate” our estimates. We look at every basin and custom cater a price that reflects actual work needed. We don’t oversell. Storm Drain drainage systems in Palm Beach help compensate for the heavy amount of rainfall from Florida’s climate. These systems keep the roads, parking lots, and other outside public areas from flooding. They also help keep your own home safe from water damage. A small network of structures work together to keep the storm water removal process running fluidly. French drains, catch basins, lab covered trenches, soakage pits, retention boxes, and more make up the drainage system. When any of these systems flood to due to improper maintenance, the whole body suffers. Not taking care of the drainage system can reduce its shelf life and may lead to property flooding and damage. 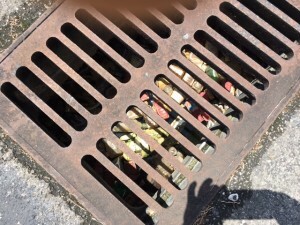 Rooter Sewer Drain Man understands the importance of providing routine in Palm Beach storm drain cleaning and maintenance to commercial and residential HOA clients. 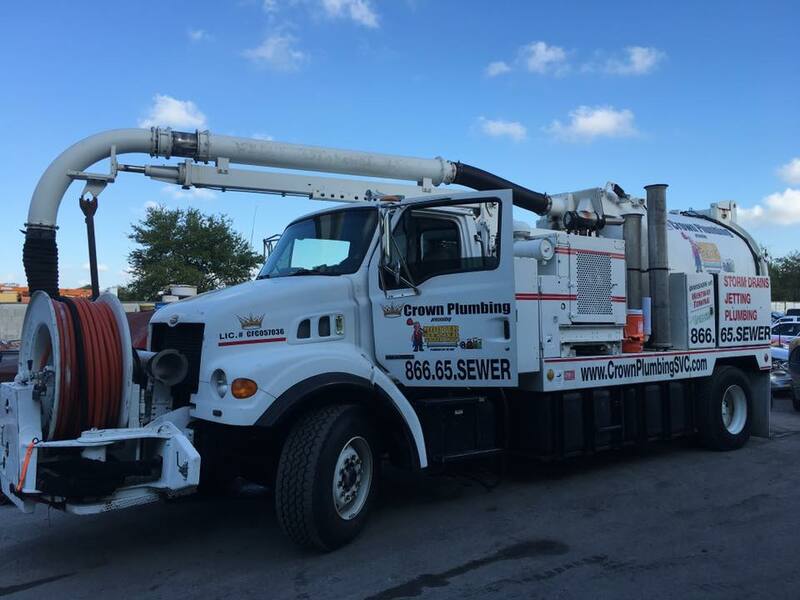 Our truck fleet cleans and vacuums drains, sewers, catch basins, lift stations, and more to keep drainage running smoothly. Common issues can sneak up on property owners with storm drain systems like clogging from leaves, sand, or trash. You may find symptoms of clogging starting with catch basins and plumbing working slower than usual before turning into flooding. Rooter Sewer Drain Man can come on the same day in Palm Beach when you find your system’s issues. To give you a clear idea of the scope of your situation, we can give you a free quote after taking a thorough inspection of your storm drains.